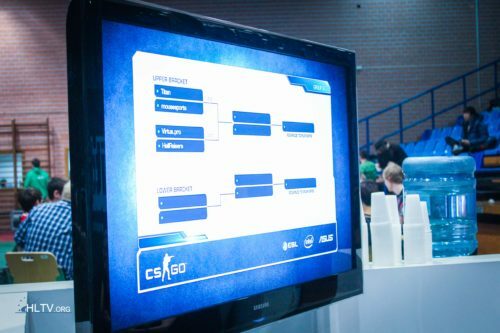 We now present you with some of the very last content from Copenhagen Games 2012, the final round of the final on de_dust2, seeing fnatic win in the fourth overtime to beat Natus Vincere. A very interesting tournament filled with upsets came to a close Saturday night, when fnatic won their first tournament since the addition of Finn "karrigan" Andersen. We captured the last round of the match, where fnatic gets the bomb planted on the A bombsite and successfully eliminate all Na`Vi members as they try to retake the site. For more interviews and highlight clips from Copenhagen Games 2012, check out HLTV.org's YouTube channel here. posting here to see the answer When will be carn's karaoke? hahaha, look at MODDII from 0:51 - 0:59. he's so nervous, but excited at the same time! GG fnatic, well deserved! it's really good to see his reaction along with the teams.. They look like a real team! Yep, though I had a friend help me record this. Will there be more highlights? Kinda miss Xizts 1v3 on train? Was that, when Ruggah helped you? I would like to see ESC cheering for fnatic :) I'm sure They were as happy as they would had been if they had won final themselfs. WTF Final on Bo1 :@. Natus Vincere. in a normal tourney they'd be out after losing to WF in a BO3. consider it a second chance they blew in the end. how much delay is there?? in bigscreen, and the spectator screens?? Big screen had minor delay, some seconds, while the spectator screens in front of the players had zero delay. I was being ironic lolz, on the other hand it's not like 2009 was yesterday! who is the new captain of fnatic? MODDII so impressing, i hope fnatic will stay on top and Xizt you still great player while leading, I love that!! were can i watch the full stream of the final? cmon hltv don't sleep please, more highlights we need ! great team, always said carn was the one holding this team back! Fnatics CS-division would be nothing without cArn. Since i follow cs gaming, fnatic team was my and always gonna be fav. team. They are winners in every way! i was waiting for a video of the winning moment. already checked whole of youtube, finally its here, nice! MODDI made me laugh haha ! where can i watch this final in stream again? like a vod or smein? So do we know which is the next 1.6 tournament and when it's played? Is any scheduled at all? If Xizt works on improving their strats a bit they will be unstoppable until some other top team will adapt to their style. Moddi was sick! for me - mvp :) fnatic now is a allstars team. I remember linups from sk and fnatic a couple years ago. Big transformation in cs1.6 for sure.